Hong Kong Mid-Autumn Festival is one of my favorite festivals. I hate to admit that I like this more than Chinese New Year. Because both festivals have lanterns. Many people got confused. Lanterns-wise, there is a BIG difference. The lady on this lantern is Chang'e. She was in the legend of how Mid-Autumn Festival originated. It may only last for 2 days. But it's so glamorous that you may want to come back and celebrate it every year. 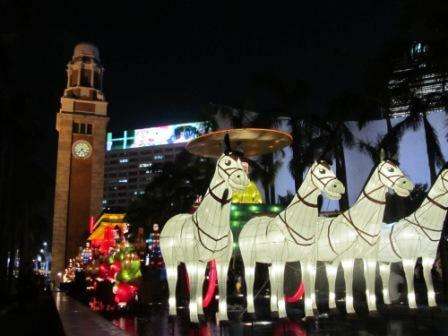 Hong Kong Mid-Autumn Festival follows the lunar calendar. It is on the 8th month and the 15th day of the lunar calendar. So, it sometimes falls in September or early of October. There are many legends about it. Click here to check out the details. The painting on the lantern on top of this page perfectly summarizes one of the legends of this festival. About a month before the Hong Kong Mid-Autumn Festival, every restaurant tries to sell you their moon cakes. Traditionally, it is a very thin pastry wrapped around the mashed sweetened lotus seeds and/or salted egg yolks. Since this is a very profitable business, many companies join in. There are tons and tons of different kinds of stuffing, including ice-cream moon cake. If you happen to visit Hong Kong, make sure to check out different places, such as bakery, Häagen-Dazs and so forth. I know no matter what kind of stuffing you get, it all adds up to your daily calories easily. But they are super delicious and delicate. Try to appreciate it as a kind of art, especially the traditional one. My mom attended a cooking class a long, long time ago. One of the lessons was to teach the students making traditional Chinese moon cake. 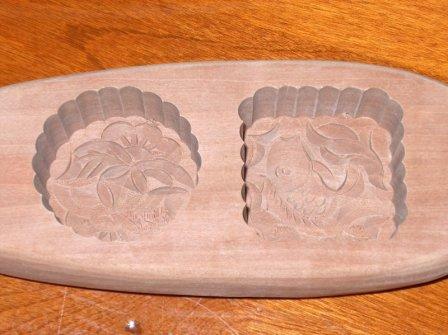 She bought the mold for making it. But there is too much work. She gave the mold to me. I treasure it so much. 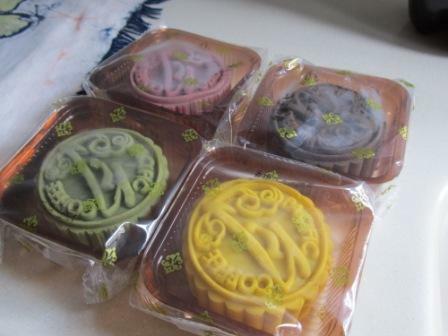 Whoever carved that pattern was amazing and made the pattern of the moon cake, it is incredible. There are 2 patterns here. 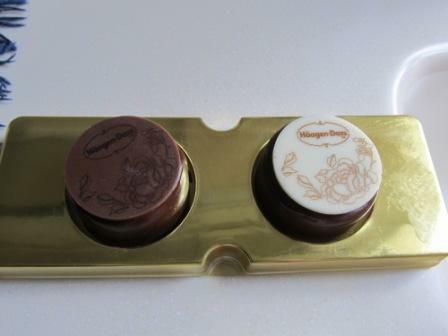 The one on the left is the usual one used on the traditional Hong Kong Mid-Autumn Festival moon cake. I went back to visit my family in Oct 2012 which was the time that just passed the festival not long after. They knew how much I LOVE Hong Kong Mid-Autumn Festival. They purposefully saved different varieties of moon cakes for me. Many of them are brand new concoction. The one caught my eyes was from the cafe, the Pacific Coffee. It operated like the Starbucks as the chain store. It is as big as its competitor in Hong Kong. Like I said that moon cakes are delicate. I was very greedy that I wanted to try out every one of them, at least a tiny bite. But men....after a while, it really gets to you. Your stomach can only do so much. But I loved every minute and bite of it. How would I not take the pictures of these beautiful cakes? Here are some pictures to share with you. They are from Haagen Daz. Of course, they have ice-cream. If you go to their website, they start taking early bird orders already. I know.....3 months before Hong Kong Mid-Autumn Festival. You can tell how fierce the competition is. 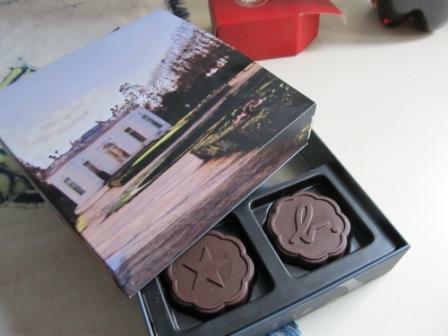 Agnes B Moon Cakes. Are you chocoholic? If so, don't miss this one. Instead of the soft-pastry cover, it is chocolate covered. 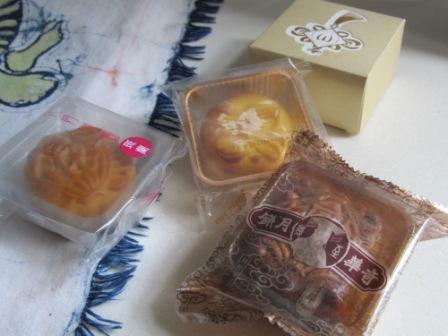 These 4 moon cakes were from the Pacific Coffee. Yep, coffee flavored moon cakes. I got to say that it tasted different. For westerners, this is a great alternative compared to the traditional ones. What about something healthy? 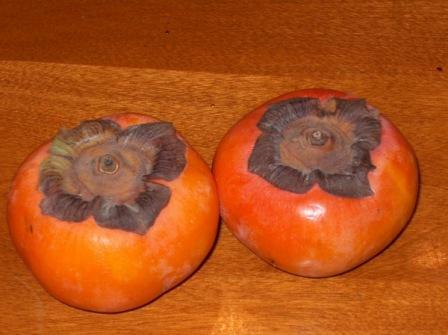 There are fruit that people particular eat on this festival such as star fruit, persimmon and so forth. In the last few years, there are exhibitions of the Chinese lanterns which last at least 2 months. It has different theme each year. These exhibitions are mainly located at the Statue Square in Central and by the Tsim Sha Tsui Star Ferry pier and outside the Hong Kong Art Centre(coming soon - link to Hong Kong Art Centre page). The lights would be on when it is completely dark which is around 7pm. In 2012, the Hong Kong government celebrated the 15th anniversary of the Handover. One of the highlights was the Terra Cotta exhibition in the Hong Kong Museum of History. We were there and so honored to have a chance to see these statues. To go with the same theme, the Mid-Autumn festival lanterns exhibition was also the Terra Cotta. It was absolutely breathtaking. I took pictures during day time and, of course, night time. Statue Square also got the lanterns. It was the traditional Chinese theme such as dragon and the lions. There are also other parks putting up these lanterns on a yearly basis. But the one in Tsim Sha Tsui has different theme every year. So, if you travel Hong Kong around September or October. Don't miss your chance to enjoy these lanterns. The lantern exhibitions are very large in scale. Just looking at them does not have much fun as you have one on hand. Believe me, even you are an adult, you may want to be a little kid for at least 30-60 minutes just to soak into this atmosphere. 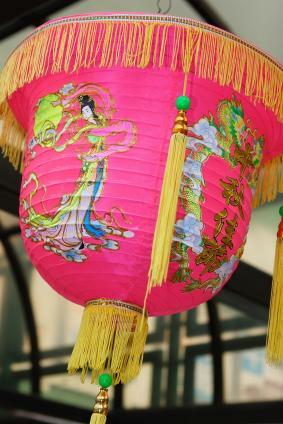 For kids, there are tons and tons of different designs of lanterns. They could be Mickey Mouse, Hello! Kitty, Spiderman and so forth. And many of them are battery lighted which are very safe. I remember when I was a kid, there weren't that many choices. Back then, a rabbit lantern was almost the MUST-have for any kid because the paper made it like very "furry". And we all used candles to light up the lanterns. So, we were not allowed to take our candle-lighted lanterns with us, even outdoor, for a long time. And of course, the year that we finally were able to do it, we were like in H.E.A.V.E.N. For adults, you can check out the fire dragon dance. It is in Tai Hang. The dragon is made out of the Chinese straws and incense sticks. I found this out when we lived close by many, many years ago. It is like a custom there. And the fire-dragon dance is always before the day of the Mid-Autumn Festival. Interestingly, I learned from one of my co-workers whom came from Mainland China. He had never heard or seen a fire-dragon dance. It is a unique culture in Hong Kong. Back then, fire dragon dance was nowhere as popular as now. The dance was limited into a very small area. As it became one of the world renowned tradition, the path where the dance takes place getting longer. Way much longer than in the past. Of course, the path which the fire dragon passes is packed with people. I was fortunate enough that my sister was able to take this video in that big crowd. If you have little children, watching the fire dragon dance MUST be very careful. Just by looking at this video, you can tell how many people there were. Are you a romantic person? If you take the bus going to the beaches in Aberdeen, such as Stanley, you will see the shorelines which are all lighted up by thousands and thousands of red candles. When we were kids, we did that. You dig a little hole into the sand and put a little candle into it so that the wind won't blow it out. You can easily light up 20 candles around you like that. This picture is so breathtaking that it was imprinted in my brain. I know I will never forget it for the rest of my life. The only concern is the traffic. It is not MTR accessible. It may be a bit difficult to get back out of that area. If you take a mini-buses or taxi, they may charge you at least double. If you don't have a tight budget and time is available, you will never regret. If you don't want to go through the hassle, I would suggest you to go to some big parks, such as the Victoria Park, Hong Kong Park and Kowloon Park. You still can feel the Mid-Autumn Festival atmosphere. 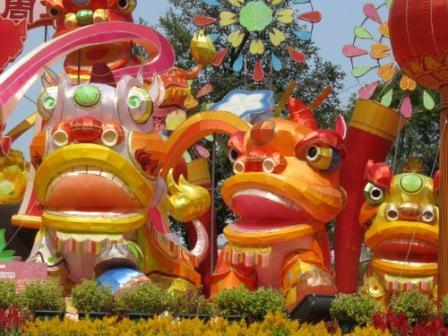 Click here to check out the exact day to plan for your next Hong Kong Mid-Autumn Festival Tour. 2) Go to Tai Hang Fire Dragon DanceTake MTR station Tin Hau, Exit B (just a couple blocks away from Hong Kong Central Library). Going towards Metro Park Hotel on Tung Lo Wan Road. That's the area of Tai Hang. On the way, you will walk passed Queen's College, where Dr. Sun Yat-sen attended high school. For more pictures of this festival, check out the photo albums in my Facebook page.